The average price for this game in the past 6 months is $6.49. The game first became 50% off on Jul 1, 2013 at Green Man Gaming. Lowest historic price was $5.85 on Apr 23, 2018 at Green Man Gaming. Resident Evil 6 PC Download is only $8 Today at GMG. Solid 80% off the usual $39.99 MSRP. Similar percentage discounts on Resident Evil and other CapCom titles at GMG. All Resident Evil deals on GMG are expired. haha...I know what you mean. Revealtions > 6. But hey why not, its on sale. Thanks updated! The Resident Evil 6 gets a double discount this weekend at Green Man Gaming. The 50% instant savings drops the price from $40 to $20, then stack a 20% coupon on top and mark it down to $16. Makes the lowest price yet by $2. Game activates on Steam. The average price for this game since released is $11.80. The game first became 50% off on Oct 24, 2017 at Microsoft. Lowest historic price was $8 on Oct 24, 2017 at Microsoft. Resident Evil 6 on the Xbox One releases on March 29th and now available on Amazon. If you're an Amazon Prime member you can snag the deal with a $4 discount to $16. The average price for this game since released is $11.87. The game first became 50% off on Oct 17, 2017 at PlayStation Store. Lowest historic price was $7.99 on Jan 3, 2018 at PlayStation Store. The average price for this game since released is $59.82. The game first became 50% off on Feb 28, 2013 at Amazon. Lowest historic price was $29.99 on Jan 15, 2014 at Microsoft. Offer is no longer valid. Price is set to 68.97 currently. Expired - thanks for the heads up! New lowest price for Resident Evil 6 on the Xbox 360 straight from Microsoft Store. Free shipping. Usually around $15 and previous lowest price was $8 from two months ago. The average price for this game since released is $29.85. The game first became 50% off on Nov 22, 2012 at Microsoft. Lowest historic price was $5.99 on Dec 25, 2013 at Microsoft. Pre-owned copies of Resident Evil 6 are only $15 with free shipping today at GameFly. Unless you need a copy in new condition it's not a bad deal, and the lowest price seen so far by $5. New low on Resident Evil 6 for the Xbox 360 and PS3 consoles this week at BestBuy.com. Amazon is price matching (though you have to have a total order of $25+ for free shipping) but elsewhere it's $30 and up. Previous low was $25 on Black Friday but since has been in the $30-$50 range. Sweet deal on today's release of Resident Evil 6 for PS3 and Xbox 360. NewEgg's coupon code takes $10 bucks off. A solid offer for a highly promoted title on the release date. Reviews so far indicate it's more of a puzzle solving action game rather than the ammo conserving/horror survival from earlier in the series. Disappointing IMO but I still liked Resident Evil 5 so I'll end up playing it at some point. If you're looking for a bargain on tomorrow's release of Resident Evil 6 for Xbox 360 you might want to jump on this deal tonight from the Microsoft Store. No price break but solid bonus items: 1600 Xbox 360 LIVE points ($20 worth) and a $10 MS Store Coupon toward future purchases. 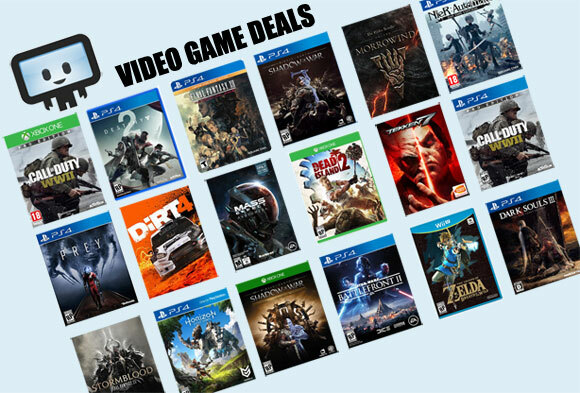 Next best offer is Amazon for $58.99 + $10 Credit. We're unsure if either offer will be around post-release. Pretty good deal on RE6 for the Xbox 360 at Microsoft Store. You get 1600 live points plus a $10 MS Store coupon (good for future purchase) as part of the bonus with this pre-order. Comes out next month on the 2nd. The average price for this game since released is $31.76. The game first became 50% off on Jan 21, 2013 at Best Buy. Lowest historic price was $7.99 on Sep 17, 2013 at NewEgg. I am about to pre order thsi game and i would like to know if there are there any pre-order bonuses for this game. First discount on the pre-order of Resident Evil 6 on Xbox 360 and PS3. Twelve bucks off probably won't be beat until the release date on a big name title like this. If you're looking forward to tomorrow's release of Resident Evil 6 on Xbox 360 or PS3 you might consider this Anthology edition for $90. Of course this is $30 more than you pay for just the standard game but the Anthology edition gets you the previous Resident Evil games 1-4 in addition to Resident Evil 6. Kmart includes a bonus $15 award card (gift card) and free shipping.